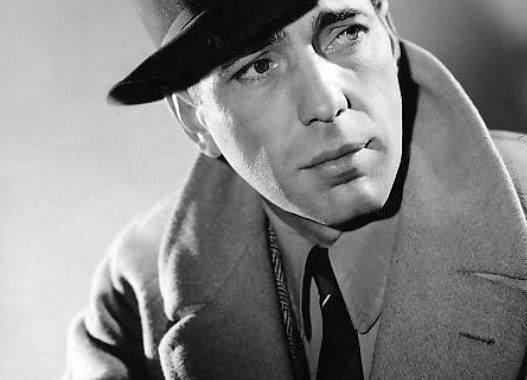 The image of a noir detective is ingrained through some of the most iconic movies and actors of all time, from Bogart as Sam Spade to Mitchum as Philip Marlowe, hard-boiled detectives fighting off gangsters and femme fatales, all for a day’s pay. But so much of the character of fictional detectives can be gleaned from their choice of libations. There were no frozen daiquiris served with pink straws. Hard-boiled detectives drank classic drinks, strong and without fuss. They drank them in seedy, dark dives and old-school hotel bars, in cocktail lounges on the side of a steakhouse, or at a local pub. “There’s something so romantically noir about quiet conversations in a dark, smoky bar—plots hatched, secrets revealed, confessions whispered,” said bestselling mystery author Lisa Unger. Writer Raymond Chandler’s literary detective, Philip Marlowe, was an avid drinker. He always kept an office bottle of Old Forester bourbon. “I reached down and put the bottle of Old Forester on the desk. It was about a third full,” Marlowe says in the novel The Little Sister. Author Toby Widdicome’s book, A Reader’s Guide to Raymond Chandler, presents a comprehensive list of the drinks featured in Chandler’s work: “In ‘Finger Man,’ there’s Bacardi, and in ‘Big City Clues,’ Bacardi and grenadine. In The High Window, there’s Four Roses Whiskey. In ‘Wrong Pigeon,’ there are double Gibsons.” The list also includes Old Grand-dad whiskey and Brooklyn Scotch. Add to cocktail shaker with ice. Shake vigorously for 30 seconds. Strain into cocktail glass.